The airport, located 16.5 nautical miles (30.6 km; 19.0 mi) east of Abu Dhabi city, is the second largest in the UAE, serving around 20 million passengers in 2014. It has three operational passenger terminals—Terminal 1 (divided into Terminals 1A and 1B), Terminal 2, Terminal 3. Abu Dhabi International Airport is spread over an area of 3,400 hectares (8,500 acres). Its terminal spaces are dominated by Etihad Airways, which is the United Arab Emirates' national carrier and second largest in the UAE after Emirates. More than 30 airlines offered service to over 120 destinations in more than 60 countries. The airport was first conceived in 1974, in response to the government's plans to modernize the then brand new nation. At the time, Al Bateen Airport (then called Abu Dhabi International Airport) was the main international airport serving the city. Sheikh Zayed bin Sultan Al Nahyan had realized that it was hard to access the airport, as it was located on Abu Dhabi Island and that the island at the time was connected to the mainland by only one bridge. Also, the city was expanding at the time, making it harder for the airport to expand. During the late 1970s, a location for the building site was strategically located, so it could be easily accessible. Construction started by 1979 and the airport was inaugurated on January 2, 1982. 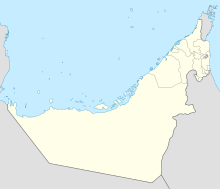 The old airport's name was changed to Al Bateen airport and the new airport was given its previous name. The new airport included a circular satellite terminal (with aerobridges) with a single connection to a semi-circular terminal. This design allowed more aircraft to park simultaneously. During the late 1990s and early 2000s, substantial work was carried out on the satellite terminal, to cater for the increase in passenger numbers, including widening the passenger waiting areas and creating extra parking spots. The main terminal also underwent some external changes, especially on the outer facade. With the withdrawal of support for regional airline Gulf Air after nearly five decades, Etihad became the new airline to be based at the airport. It received full support from the UAE government and has come a long way since its inaugural flight in 2003. Previous Gulf Air CEO James Hogan also transferred to Etihad, bringing aviation industry knowledge and experience. Terminal 2 was built and opened in September 2005 to relieve the pressure on the main terminal. Terminal 2, however, does not have aerobridges and uses buses to move passengers between aircraft and the terminal building. A second runway (Runway 13L/31R) was opened in October 2008 to cater to increased traffic. Terminal 3 was opened in January 2009. It is primarily used by Etihad Airways. The new Terminal 3, a AED 1 billion (US$270 million) interim facility, was designed to allow for the airport's passenger growth before the planned opening of the new Midfield Terminal in December 2017 (which was eventually deferred by 2 years). Used predominantly by Etihad Airways, the terminal boosted the airport's seven million passenger per year capacity to 12 million. It also added 10 new gates, two of which are Airbus A380 compatible. During the early years of operation, there were no means of getting to the airport from the cities except for private vehicle or taxis. With the creation of Abu Dhabi's bus network in the late 2000s and 2010s, city-to-airport bus services were introduced. In December 2011, the government of Abu Dhabi signed a letter of intent to build a United States border preclearance facility similar to pre-clearance customs facilities in Canada, Aruba, Bermuda, the Bahamas, and Ireland. Etihad operated its first flight to the U.S. from the facility January 25, 2014. In 2011, the airport was awarded 2nd Best Airport in Middle East of the Airport Service Quality Awards by Airports Council International The airport celebrated its 30th anniversary in 2012. Rotana Jet was another airline based at the airport, however it suspended all flights indefinitely in 2017. Terminal 1 is the oldest facility, featuring a bi-level arrivals and departures area. The nine main gates (3-11) are equipped with jetbridges and located in a circular gate area while the check-in and arrivals facilities are located in a separate main building connected to this satellite. There are also several bus boarding gates. Terminal 2 is a newer facility to the east of Terminal 1 and not connected to it. It features 19 check-in counters, 3 bus-boarding gates and two baggage claim belts and is mostly used by low-cost carriers. Terminal 3 is the newest addition and a direct expansion to the western side of Terminal 1. It is a brick-shaped, bi-level facility featuring a large duty-free and food court area as well as departure gates 28-35 and 58-61, several of which are bus-boarding gates. Terminal 3 is capable of handling the Airbus A380s of its main user, Etihad Airways. A check-in facility exists in downtown Abu Dhabi, for travelers who want to check in at the downtown city centre before they travel to the airport. This facility, known as the City Terminal, resembles an airport terminal building and has lounge and transport facilities. After having checked-in at the City Terminal, travelers can arrive at the airport just one hour before the departure of their flight. A further check in facility is operated by Etihad Airways at the Etihad Travel Mall on the outskirts of Dubai. Abu Dhabi International Airport has two parallel runways, 13R/31L and 13L/31R. Both are 4,100 m × 60 m (13,450 ft × 200 ft). Development work has started on a new passenger terminal, the main building and centerpiece of the new airport, to be between the two runways and known as the Midfield Terminal. Upon completion in 2019 (it was due to open on July 7, 2017, then pushed back to early 2019 in time for the 2019 Special Olympics, and now delayed until Q4 of 2019), the Midfield Terminal will increase the airport’s passenger capacity to more than 30 million per year, with options for this to double in capacity to 60 million. An additional facility is under consideration that would take the capacity to 80 million. The general exterior of the terminal was designed by international architecture firm Kohn Pedersen Fox Associates. The expansion master plan projects include a third 4,100 m (13,500 ft) parallel runway, 2,000 m (6,562 ft) from the existing runways, a new 110 m (360 ft) tower between the two runways with the new Air Traffic Control centre, enhanced cargo and maintenance facilities, and other commercial developments on the land immediately adjacent to and north of the airport. Having a total of 34 square kilometres (13 sq mi) of vast land area, the ambitious project will provide a home base for the UAE's national carrier, Etihad Airways, which will be a major user of new cargo facilities with an ultimate handling capacity of around two million tonnes of freight a year. Close to the new cargo facilities, land has been allocated for commercial activities, business parks, and property developments. Aircraft maintenance facilities will continue to be concentrated on the south side of the existing airport. The plan sets aside land for the growth of other operators such as Royal Jet and Abu Dhabi Aviation. Among other aspects of the project, when completed, are the design of remote aircraft stands complete with airfield ground lighting and hydrant fuel. ^1 Biman Bangladesh Airlines' flight from Abu Dhabi to Dhaka makes a stop at Sylhet. However, the flight from Dhaka to Abu Dhabi is non-stop. Abu Dhabi International Airport is connected to the Emirate and its surroundings, including Dubai and Al Ain, by a highway network. Route E20 directly passes the airport. Car rental, taxis and dedicated chauffeur services are available. The Department of Transport provides five bus routes from the airport throughout Abu Dhabi which run 24 hours a day, including line A1 which leads to the city center. Etihad Airways additionally provides a coach service from Abu Dhabi International Airport to Al Ain and Downtown Dubai. The airport's new midfield terminal will be connected to the Abu Dhabi Metro, however no construction has commenced for the metro, light rail or BRT. 1980s - A Gulf Air flight from Pakistan crashed somewhere in the UAE desert, killing everyone on board. On 19 April 2007, a Qatar Airways Airbus A300B4-622R caught fire while under maintenance at an airport hangar. There were no fatalities but the aircraft was destroyed and was written off. On 16 February 2016, an Etihad Airways Airbus A380 refueling truck caught fire while re-fueling. There were no fatalities. 2017 - An Etihad aircraft was targeted by people in Sydney. They were planning to bring down the plane - bound for AUH - by smuggling chemicals on board. Police received a tip off and swiftly moved in to arrest the suspects. ^ "Google Maps". Google Maps. Retrieved 1 June 2015. ^ "Etihad Airways Route Map". flights.etihad.com. Retrieved 2017-09-17. ^ a b "Google Translate". translate.google.com. Retrieved 2018-06-12. ^ "History - About Us - Al Bateen Executive Airport". Archived from the original on 21 April 2014. Retrieved 1 June 2015. ^ "Photos: Airbus A330-223 Aircraft Pictures - Airliners.net". Retrieved 1 June 2015. ^ a b "Development at a Glance | About Abu Dhabi International Airport | Airport Information | Abu Dhabi International Airport". Abudhabiairport.ae. Retrieved 2018-09-02. ^ "Abu Dhabi International Airport". Abu Dhabi International Airport. 2009. Retrieved 2009-09-29. ^ "Bus Transportation". Retrieved 1 June 2015. ^ "U.S. Security Expands Presence at Foreign Airports". New York Times. Retrieved 2013-05-19. ^ "US pilots slam Abu Dhabi airport facility move". Trade Arabia. Retrieved 2014-01-25. ^ Caline Malek (January 25, 2014). "First flight departs to US using Customs checkpoint in Abu Dhabi". The National. Retrieved January 27, 2014. ^ "The Abu Dhabi Pre-clearance Facility: Implications for U.S. Businesses and National Security: Hearing before the Subcommittee on Terrorism, Nonproliferation, and Trade of the Committee on Foreign Affairs, House of Representatives, One Hundred Thirteenth Congress, First Session, July 10, 2013". ^ "Three decades of success". ABUDHABI AIRPORT. Archived from the original on 15 January 2015. Retrieved 1 June 2015. ^ "UAE's Rotana Jet suspends all flights". ArabianBusiness.com. Retrieved 2018-02-17. ^ "Abu Dhabi Midfield Terminal to open in fourth quarter of 2019". ^ "Midfield Terminal Complex Development". ABUDHABI AIRPORT. Retrieved 1 June 2015. ^ "Kannur Airport: Ticket booking to start on Monday". mathrubhumi.com. Retrieved 2018-11-11. ^ "Air Seychelles to adjust its regional network as part of business transformation plan". airseychelles.com. 1 March 2019. ^ Feb 24, 2017 Kurt Hofmann (2017-02-24). "AirBaltic to launch CS300 long-haul flights to Abu Dhabi | Airports & Routes content from". ATWOnline. Retrieved 2017-04-17. ^ a b "Etihad Airways announces new seasonal routes to Alexandria and Salalah". etihad.com. 28 February 2019. ^ "GoAir adds Kannur – Abu Dhabi service from March 2019". routesonline.com. 1 February 2019. ^ "Himalaya Airlines adds Abu Dhabi service in S19". routesonline. Retrieved 19 March 2019. ^ "Pegasus adds new international routes from June 2017". routesonline. Retrieved 5 April 2017. ^ "Salam Air network expansion in S19". routesonline.com. 21 February 2019. ^ Liu, Jim. (2 May 2017). "Turkmenistan Airlines adds Abu Dhabi flights in S17". Routesonline. Retrieved 2 May 2017. ^ "Fleet Information". Etihad Cargo. 2017-01-01. Retrieved 2018-10-16. ^ Archives, Compiled by Gulf News (3 September 2010). "Timeline: Plane crashes in the UAE". ^ "Gamco Hangar Fire Abu Dhabi". www.iasa.com.au. Retrieved 2017-04-16. ^ "Uh Oh: Etihad A380 Refueling Truck Fire In Abu Dhabi". One Mile at a Time. 2016-02-19. Retrieved 2017-04-16. ^ "Sydney terror: 'It was as close to a major attack as we've ever come'". ^ "Inside flight EY451: Etihad jet targeted by terror plot". 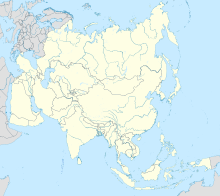 This page was last edited on 20 April 2019, at 13:52 (UTC).